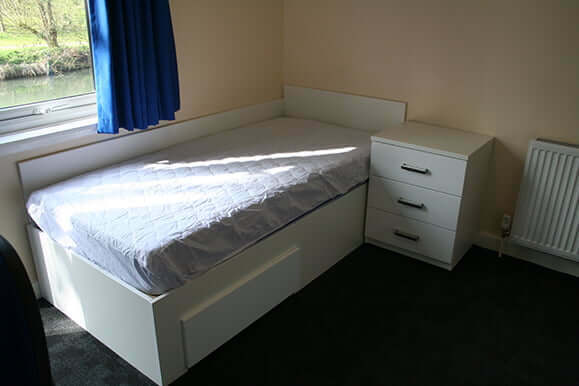 Sunley House is designated quiet accommodation and is located on the Hunter Street Campus. It is self-catering accommodation. There are 39 ensuite single bedrooms which vary slightly in size. All rooms have mini-cools and small vacuum cleaners. Some of the ground floor rooms have patio doors which lead down to the river. It is really lovely in the Summer time to see all of our local wildlife. The difference between the standard ensuite rooms and the premium ensuite rooms is that they are slightly larger. Bedding packs are provided for all new students. 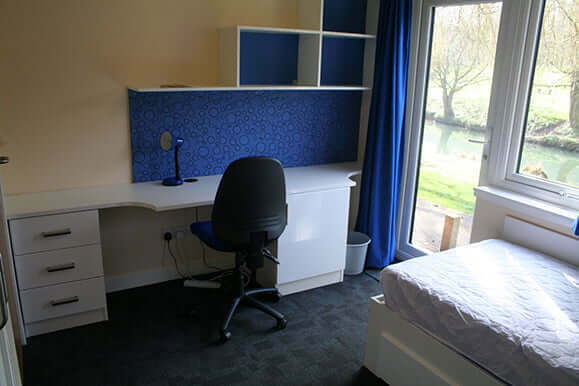 The kitchens are located on the ground floor and are shared between 13 students. Each resident has their own kitchen locker and their own allocated drawer in a freezer. Don’t bring too much frozen food as you won’t have space for it. The kitchens are fully equipped with cookers, microwaves, toasters and kettles. Students need to bring their own towels, pots & pans, crockery and knives & forks. 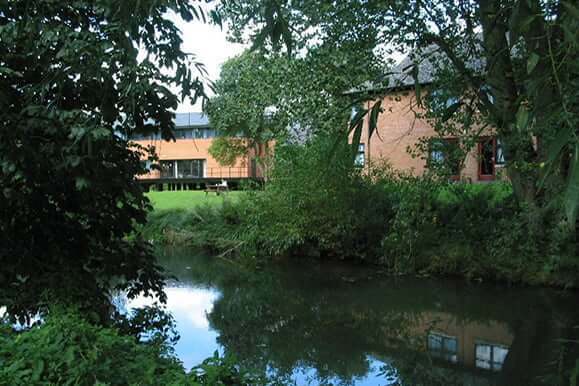 The communal areas are cleaned daily – Monday to Friday (excluding Bank Holidays). To assist our lovely cleaning staff you are asked to wash up after yourselves. There is a small car park beside Sunley House. Please note – this can be used by all University staff and students. The nearest laundrette is in Hailsham House.